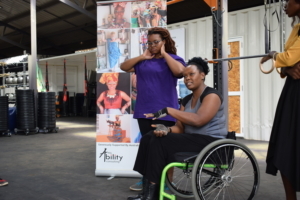 Voice.Global > Blogs > Let’s Talk – Kenyan women with disabilities tell it all! As a new year starts, it is always good to reflect on the wins and losses in our advocacy for the past year. In our case, the scale leans heavily to the positive side. We feel that in 2018, consciousness has continued to grow both internationally and locally, and this has fueled our determination to advocate for the rights of women and girls with disabilities in Kenya. For one, 2018 was the year in which the Kenyan government co-hosted the first ever Global Disability Summit with the Government of the United Kingdom and the International Disability Alliance. The meeting brought together over a thousand delegates from governments, charities, donors, private sector organisations, and organisations of persons with disabilities for consultative meetings. It resulted in stakeholder commitments towards addressing disability inclusion particularly in the global south. Such a high-level meeting increasingly puts a spotlight on what the country is doing to fulfil its obligations towards persons with disabilities in Kenya. It creates a foundation on which collaborations can be made, opportunities for improvement can be created and accountability can be demanded. The question, however that we continue to ask ourselves is whether this top-down approach is sufficient to bring about the change we want to see: a world in which the rights of women and girls are upheld, respected and promoted. Is it enough to have policy changes or is there more that we may be missing? What we have continued to find out in our work is that the cultural lens through which people first interact with disability in this country shapes the negative attitudes and biases that they then project on persons with disabilities. We have found that as much as there is a global shift in the way we address disability, as much as there are laws in place to address the systemic inclusion of persons with disabilities, a mental and attitudinal shift is yet to occur. The law can drive change, but in order for the change to be sustainable and impactful, it has to be accompanied by a radical social change as well. In order to bring about this change, the first step is conditioning. Just as one can learn biases and negative attitudes, one can also unlearn the same. This journey of unlearning is gradual, and often subtle. It can be driven by targeted messaging at the individual and supported by a call to rethink the human experience. We like to think of disability as an expression of the variability and diversity in the human experience, and our projects this past year have gone towards documenting this. The dissemination of this round table discussion has received positive reviews from non-disabled people who had their mental perception of disability shifted by this representation of women with disabilities as capable self-advocates with in-depth knowledge of how society has continuously burdened their existence with obstacles. We are looking forward to taking on the next step of documentation, which will be through a photography project exploring disability and sexuality of women with disabilities. These targeted projects are meant to be used to infiltrate mainstream media with positive imagery of women with disabilities as another way of challenging the existing narrative. The media, both traditional and new media, is a powerful tool of shaping consciousness mainly because of its reach. We want to tap into this in order to shift the negative narratives and replace them with a more tolerant, inclusive outlook. Our advocacy methods have continued to be bolder as the years go by because we are sure that as the top-down approach of policy-making creates the vision, our bottom-up approach makes space in the society for the change that we want to actually see. Our focus has always been women and girls with disabilities because we feel that for a long time the gender lens has been missing in disability advocacy. In fact, the term “Persons with Disabilities” is one which we take a decisive stance against. It flattens the experiences of both men and women with disabilities and lumps them together in a manner that is detrimental to women with disabilities. The reality is that even in disability, the patriarchy persists. The most preferred voice is male, and that voice has emphasised political inclusion as the priority when there are real issues specific to women falling in between the cracks. We therefore claim the title ‘women with disabilities’ as an identity to claim space and draw attention to our specific Sexual and Reproductive Health needs. A special thank you to This-Ability Trust Kenya for this article.